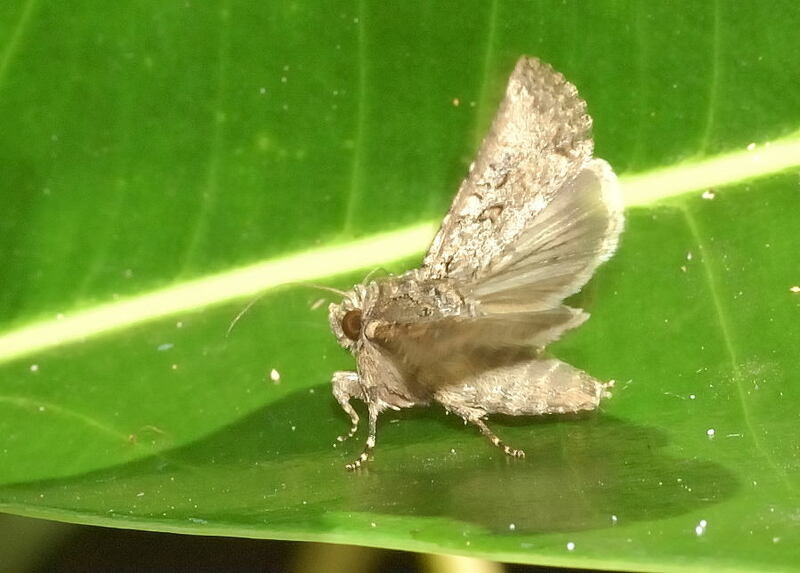 This page contains pictures and information about moths and caterpillars in subfamily NOLINAE that we found in the Brisbane area, Queensland, Australia. This family Nolidae is recently raised to family in Moth order. 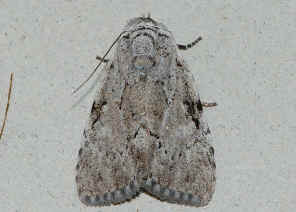 It was classified as subfamily NOLINAE put under family Noctuidae. The moths in this subfamily are small in size. Most of them are grey in colour. 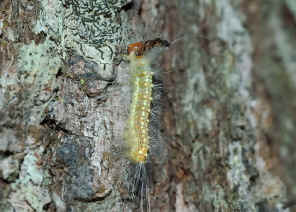 Caterpillars have three pairs of prolegs, the one pair on abdomen 3 is missing. 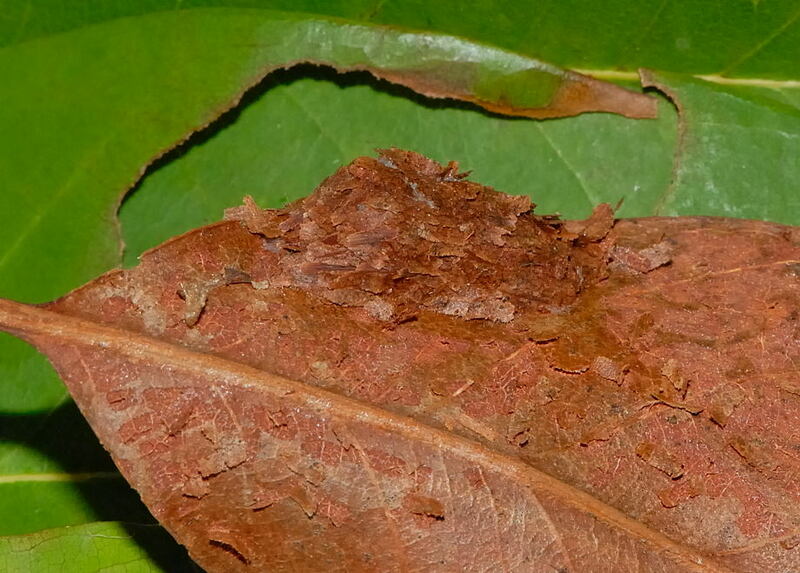 They pupate in cocoon formed by silk and plant bark with the shape of upturned boat. The moth comes out from a vertical slit at the board end. 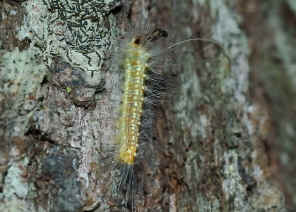 This caterpillar is common on Gum leaves in eucalypt forests in Brisbane. We would like to know what is the moth. 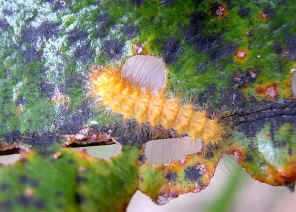 We found a caterpillar it was cutting out the skip of a dry leaf. We thought it may about to pupate and making a cocoon. Check this page for more details. As the common name implied, the caterpillar feeds on eucalyptus, skeletonizing the leaves. Notice the cast head capsules of several of the younger instars are stacked vertically on the thorax. Check this page for more details. We found the golden yellow hairy caterpillar on Banksia leaf. We took it home and put it in a jar with some Banksia leaves. Two day later the caterpillar disappeared. 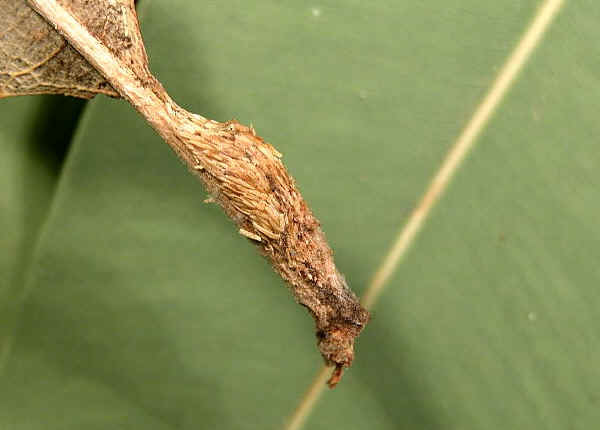 We look for a while and noticed that it became a cocoon attached on one of the leaf stem, covered with bark from the leaf. It was hardly be noticed. However, we had wait over months and still nothing came out from the pupa. 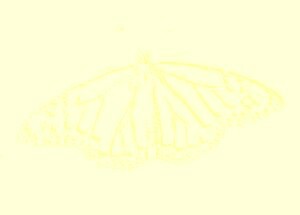 We are still waiting........... From the way it made the cocoon, we believe it is in this subfamily. 1. Moths of Australia - I. F. B. Common, Melbourne University Press, 1990, p456. 2. 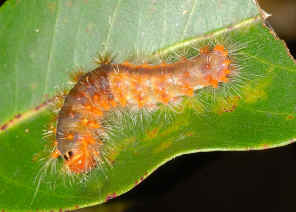 NOLINAE of Australia - Australian Caterpillars, by Don Herbison-Evans & Stella Crossley, 2009. Last updated: February 02, 2012.